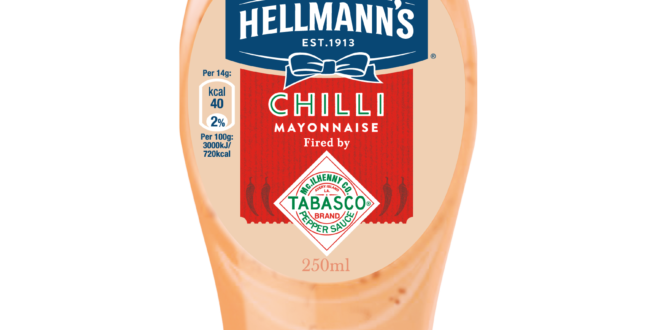 UK mayonnaise brand, Hellman’s has partnered with the Tabasco brand Pepper Sauce to create the new Hellman’s Chilli Mayonnaise Fired by Tabasco Sauce. The collaboration has been struck upon in order to tap into the reported growth of the hot sauce market. 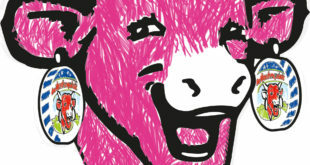 Sales of maynonnaise outpaced those of ketchup for the first time last year. The deal was hit upon by Unilver, combining the taste of the mayonnaise brand with the Tabasco brand Pepper Sauce. 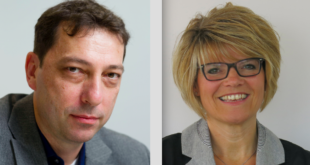 “We are excited to be working with the iconic Tabasco brand Pepper Sauce,” said Julie McCleave, global licensing director at Unilever. “It felt like a strong partnership with a fiery future and with the trend for flavoured mayonnaise continuing to grow, plus hot sauces also rising in popularity, it made perfect sense for us.